In a landmark decision which will reverberate around Australia and beyond, a court has ruled that a controversial open cast coal mine in the country cannot proceed on climate grounds, as well as other issues. The Rocky Hill mine in the Hunter Valley has long been a source of dispute. The mining company, Gloucester Resources wanted to mine 21 million tonnes of coal over a period of 16 years. But earlier today, a judge dismissed an appeal by Gloucester Resources, which was attempting to overturn a previous ruling by the New South Wales government to reject the open-cut mine because of its adverse social, visual impacts, but also due to climate change. Citing the mine’s impact on climate change, the judge ruled that the open cast coalmine “would be in the wrong place at the wrong time”. 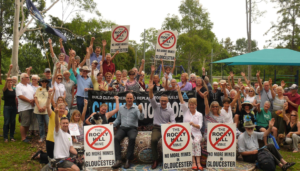 Di Montague, a member of the local anti-mine group, Groundswell Gloucester, told the Sydney Morning Herald, “we’ve won, we’ve won”, adding that the result should “reverberate across every community fighting coal and coal seam gas in Australia”. Professor Will Steffen, an adjunct professor at the Australian National University, who gave evidence in court, added: “It is absolutely clear that the Paris climate targets cannot be met if we continue to open up new fossil fuel reserves”.